What was once a sleepy outpost on the northwest boarder of Botswana, the town of Shakawe has now become an attraction to both local and international tourists. This bustling town has grown substantially in population numbers since the development of the Shakawe airport it has become a gateway to the rest of Botswana and beyond. 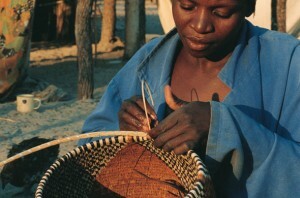 The small town located at the start of the Okavango Delta is now a thriving community with excellent infrastructure but still deeply connected to its cultural roots. The pride and conservation of the ancient cultures and archaeological sites are deeply entrenched in the people lives and locals are more than willing to teach you about the area and it’s wildlife and history. Travellers can witness the magical beauty of the area through organised tours or 4×4 adventuring which are both exciting and fun. The sacred Tsodilo Hills are only 40 kilometers away so this town has become a stop over spot for thousands of travellers every year who are wanting to experience the spiritual sanctuary of the area during their stop over.These hills have been inhabited by humans for thousands of centuries and there are more than an astounding 4000 rock paintings adorning the rock face. The hills tower up from the otherwise flat grassland landscape and provide a majestic site from kilometers away. Local guides from Shakawe are more than willing to take groups to learn about and explore this ancient collection of sacred hills. It is also a very popular stop over for those travelling to Maun or the Drotsky Cabins. Roads around the city are tarred but as you travel further out, roads become more bumpy and making it a popular 4×4 adventure area. The city is surrounded by game farms and fishing resorts which offer many exciting activities for visitors to enjoy. This area in Botswana has unique flora and wildlife and fishing holidays are an especially popular activity as well as renting a houseboats along the Okavango Delta. It makes for a uniquely beautiful experience and there is nothing quite as beautiful as ending a day sipping on cocktails while you watch the sun set over the Okavango Delta. 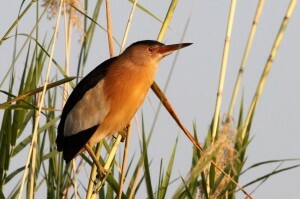 Due to its proximity to the Okavango Delta, bird life is populous and bird watchers will be amazed at the variety and wide array or bird species. The town encompass the true nature of Botswana and its culture and is known as one of the most laid back locations in Botswana. Local woman have become known for their spectacular weaving skills and many tourists take time to watch these ladies in action and support local businesses by bargaining for a woven basket. Stopping over in this town is well worth your while and you may find ancient hidden secrets along your way.